Liverpool sporting director Michael Edwards held talks with Hertha Berlin over loan star Marko Grujic recently, according to Bild. The German outlet claims that the Reds chief was in Berlin scouting the Liverpool’s upcoming Champions League opponents Bayern Munich in their cup clash with Hertha on Wednesday, and while there discussed the future of Grujic. The 22-year-old has shone on loan in the Bundesliga this season, and Pál Dárdai’s side are keen to keep him for another season. It is said Liverpool don’t want to sell him, but it’s unknown whether they’d be open to loaning him again. 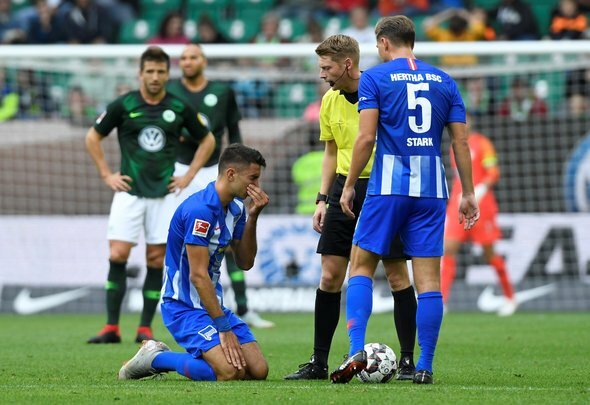 Hertha reportedly don’t have an option to buy in Grujic’s loan contract. The Serbian international is said to have raised his transfer value to £10million due to his performances this campaign. This is an interesting one. If Hertha want Grujic on loan for another season then why wouldn’t Liverpool agree to that? The youngster has made rapid progress with the German side and another year in Berlin would likely be fantastic for him. It’s unlikely that Grujic will feature prominently for the Reds next season, despite his talent, and so it would make sense for him to go out on loan again. Liverpool don’t want to sell him, and why would they? But Hertha seemingly aren’t proposing to sign him permanently anyway, so why not let them borrow him again? It’s important that young players, like Grujic and fellow Liverpool loanee Harry Wilson, get sufficient game time in order to develop, something that they probably won’t get at Anfield any time soon. At 22 years of age Grujic still has plenty of time to improve. It’s best that he do that somewhere he feels comfortable like Hertha.